A classic winter flowering favourite and one few of us would want to be without, reminding us that spring is just around the corner. 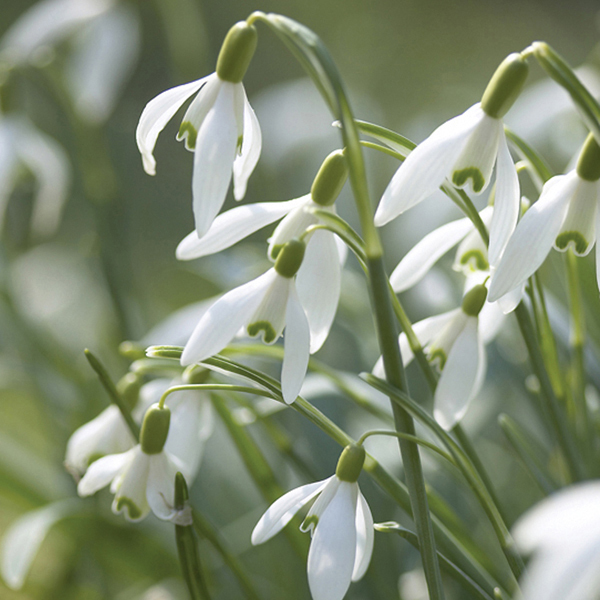 The nodding, honey scented, white single flowers, with inner green markings, start to appear in early January and continue through into February. Great for naturalising too.